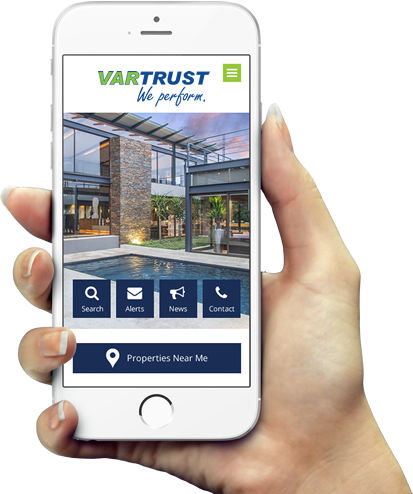 Why Sell or Rent with Vartrust? We keep you updated after each viewing appointment and about what is happening each week. We do a free valuation with direct comparisons. Selling at the best price in the shortest time has never been easier. We substantially reduce delays as a result of buyer’s finance not being approved. We will guide you on how to stage your home to get the maximum interest. Our expertise includes international property and buyers, development land, small holdings, investment property, rental management, complexes and commercial property. Professional photographs, featured listing, property portals, flyers, boards, a private website, a mailshot are some of opportunities we use. Easier for buyers & tenants. Mobile friendly listings for buyers, view from anywhere on any device. We will help you build networks, for us relationships matter, agents matter! So we offer a holistic approach to your professional growth, and provide you with the industry’s most innovative technology, marketing and support.